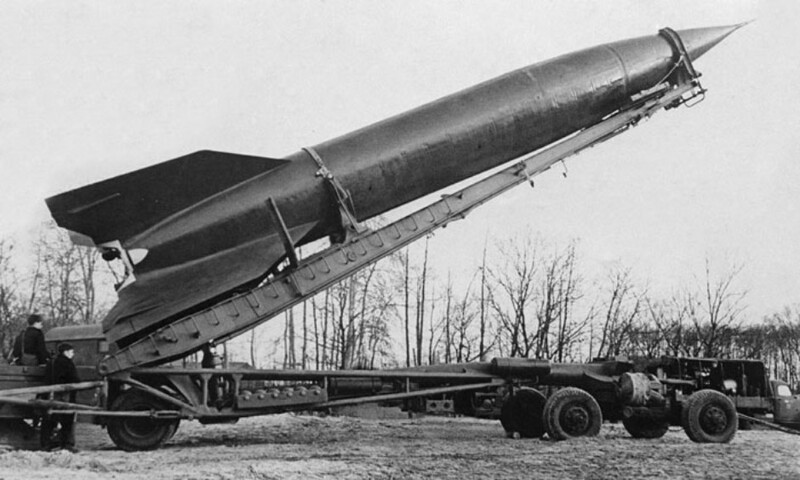 A monstrously large submarine by any standards, the 5,360 ton P-2 design was to be equipped with both Ballistic Missiles and Cruise Missiles, as well as its own midget submarines. 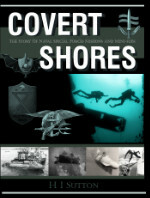 It was designed just as the Cold War was starting in 1949 as the next generation of heavy submarine for the Soviet Navy. From the outset the design was unlike any other, with three internal pressure hulls stacked on top of each other in the bow, and then two pressure hulls running down the sides of the boat to twin propellers at the stern. 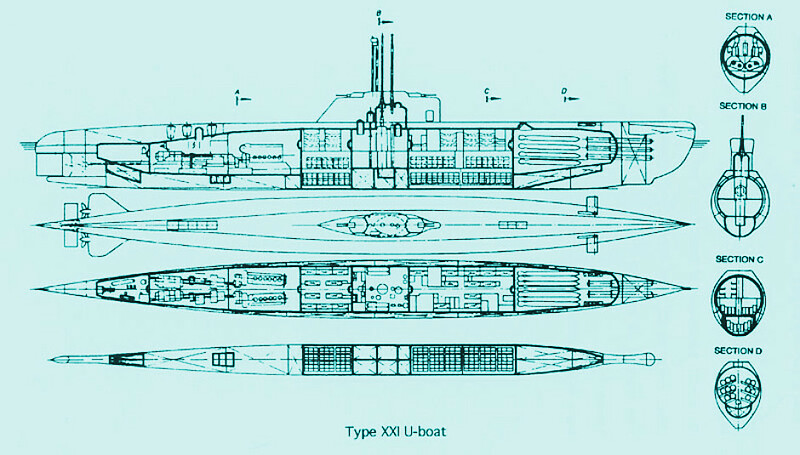 The space between these side hulls was to be filled with three payload modules which could comprise of either a) SS-1 (R-1) SCUNNER ballistic missiles in sets of four (maximum 12 missiles), b) Swallow-10X cruise missiles in sets of fourteen (maximum 41 missiles) or c) midget submarines carrying tanks in sets of three (maximum 9). 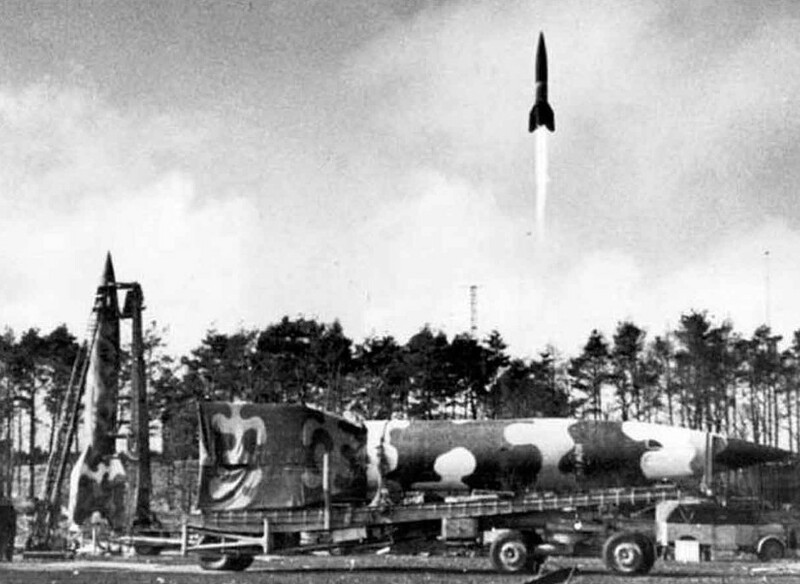 Although the design was progressed for a while, it was too ambition and was soon abandoned in favor of smaller steps towards ballistic missile and cruise missile submarines. The midget submarine component was never progressed. Original artwork - CLICK for HIGH-RESOLUTION (4000px) image. 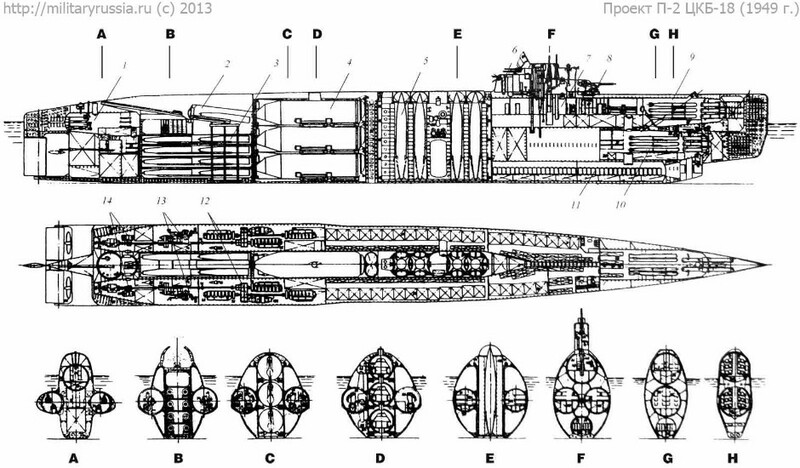 Armament: 16 x 533mm (21") torpedo tubes (2 x 6 forward, 4 aft). Although the seven-hulled P-2 took things to a new level, the basic submarine technology behind it was the impressive German Type-XX1 U-boat ('Elektroboote') which influenced submarine design on both sides of the Atlantic. 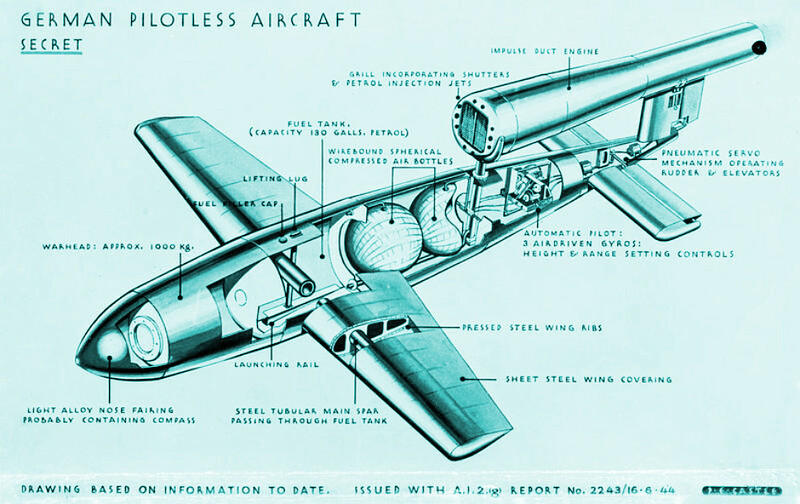 As well as the submarine technology itself, the weapons and other key technologies in the P-2 submarine were directly related to plundered German technology.